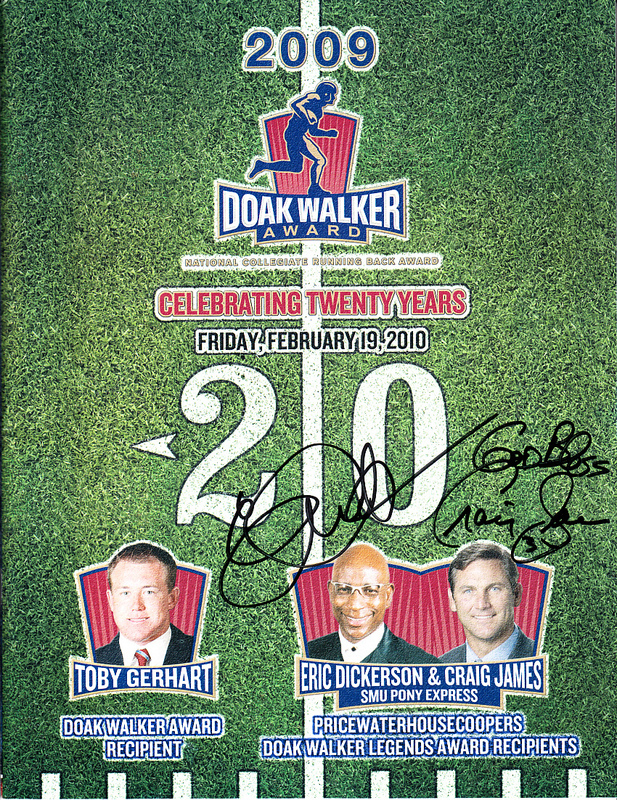 Original complete 2009 Doak Walker Award 20th Anniversary program (magazine size) autographed in black marker on the cover by legendary SMU Pony Express running backs Eric Dickerson and Craig James (added God Bless to his signature). 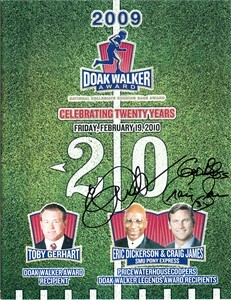 Obtained in person at the event, with certificate of authenticity from AutographsForSale.com. ONLY ONE AVAILABLE FOR SALE.